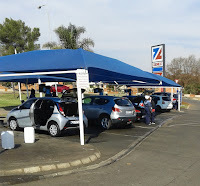 I am not sure if it is a South African thing, but people here sure do love to wash money away their cars. At the garage around the corner from Stealthville, I see long queues every weekend as people spend hours waiting for their hunk of metal to be made all nice and shiny. Now I have no problem with this, except for the fact that it is absolute madness! Lunacy! You see in my opinion (opinions are like assholes - everyone has one) there are a number of totally pointless exercises us humans seem to do1, and washing your car is one of them. So you have your car washed, and you drive it home from the garage....and guess what.... from the second you leave, it starts getting dirty again!.Or it rains.... or the wind picks up....and a few days later you are back to where you started - minus the cost of a car wash. But yet, every weekend they turn up in their droves, religiously. 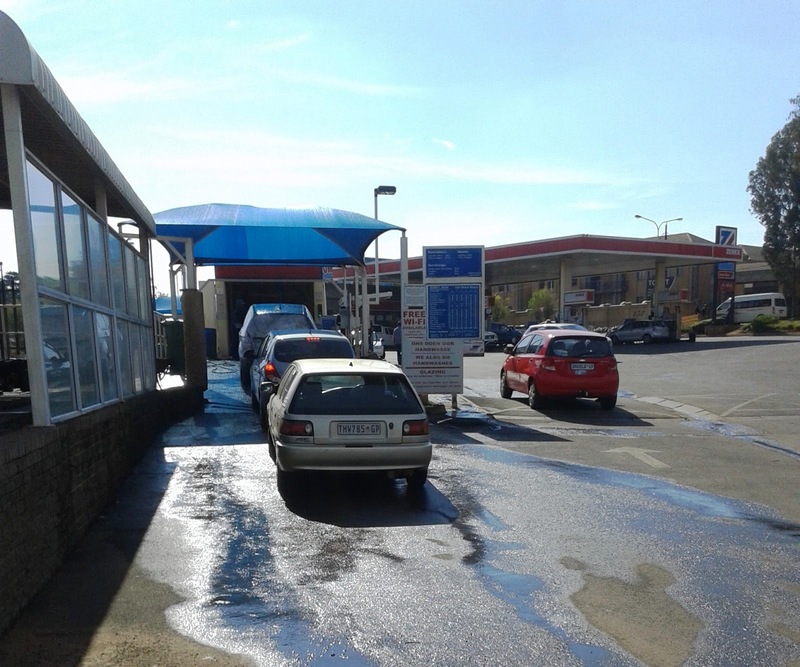 I mean here is a pic I took at the local car wash on a recent Saturday morning on my way to the shops. So there is quite a demand for this service! And as you can see below, people even queue to get in (and this is a mid-Winter's morning, in Summer it's even worse!). "Welcome to the car wash - how much money do you have to throw away?" 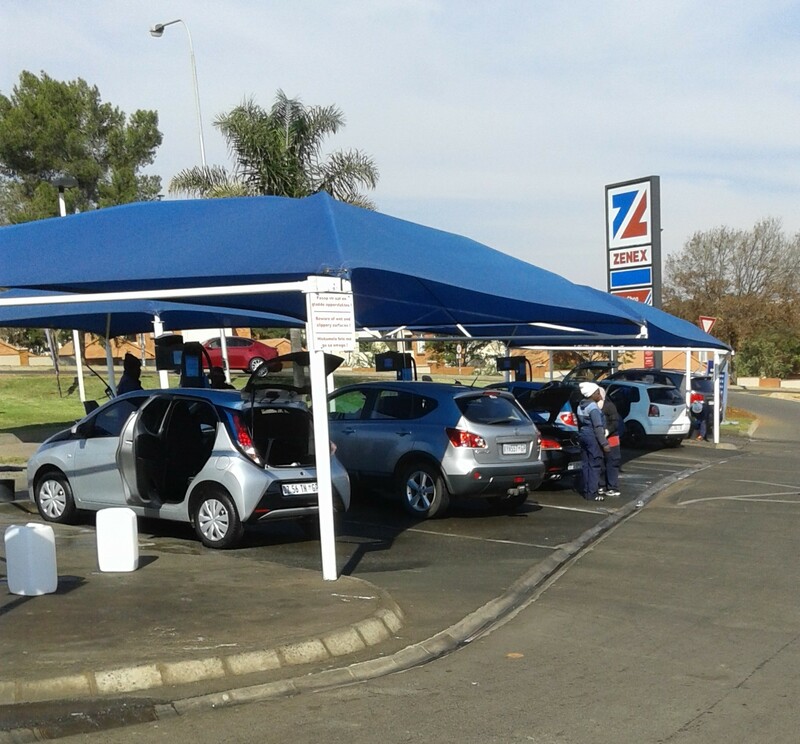 R550-R600 for a full valet! Holy crap! And the thing is people obviously take this option, or they wouldn't have it on their menu. You know what you could do with R600! I think it could be that cars are expensive and so people feel obliged to "look after them". But also I think this is aggravated by the fact that people spend waaaaay too much when they purchase their cars. Just look at the amount of "fancy" cars on our roads and you will quickly realise how many people are actually living way above their means. And I guess if you are spending around half of your disposable income on your car then you could very well feel the need to keep it in immaculate condition? 1 - Taking your car to a car wash is a complete waste of not only your hard earned money, but also your precious time! One of life's pointless activities. 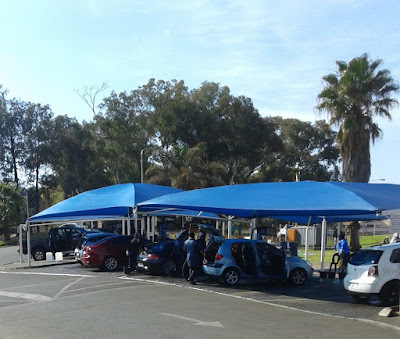 So if you are one of those who do the car wash thing, this is one expense you should definitely eliminate if you are serious about generating wealth. For example let's say you only a small idiot, so you go for the "Wash and Go" option and you do this twice a month2. 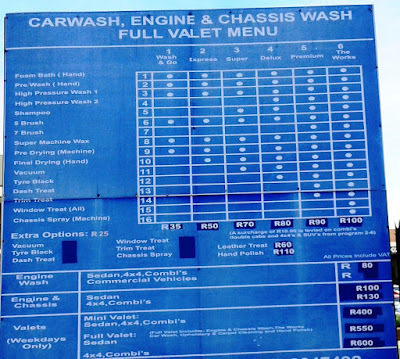 Your monthly car wash would cost you R70 a month. Now if you invested this money instead, using my Investment Rules of Thumb you can work out that in 15 years you could have in excess of R25 000 towards your early retirement kitty. 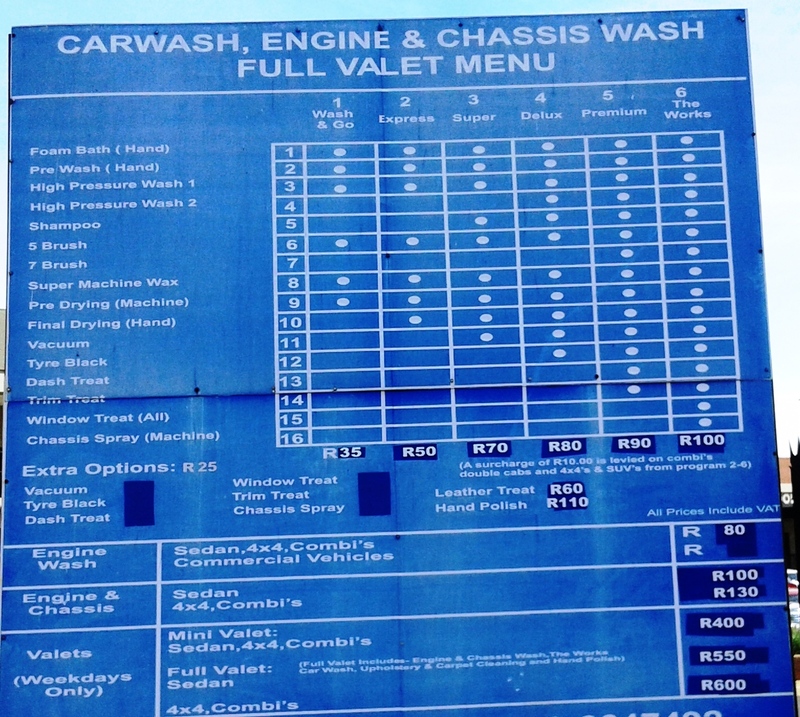 So for me, this one is a no brainer - stop the car wash nonsense immediately! 1 Another one of these pointless exercises is making the bed, I mean you are just going to climb in again that night and mess it all up - although Mrs Stealthy Wealth will have something to say about that! 2 Only a super sized idiot would do the full valet!